Question: I went to the GP about hair loss (have lost 50-60% of density, possibly over as much as a year) and was diagnosed with iron deficiency. My ferritin was 11. It’s risen very quickly with me taking ferrous fumarate, and is now over 80 (after five months of supplements). The GP wants to keep it over 80 but has reduced my dose of ferrous fumarate from 3x a day to 1x day. I’ve dropped down but I swear my shedding rate has gone back up and am wondering whether to up my dose again. The GP wants to retest my ferritin after two months on the lower dose to make sure it’s being maintained but I’m alarmed by the increased shed rate. Could it be connected with reducing my dose or just a coincidence? Thanks. Answer: Hi,Leea. We cannot give you personalised medical advice as you are not a Belgravia client, so we recommend you speak to your GP about your concerns. However, we can provide you with general hair loss advice on this topic which we hope is helpful. 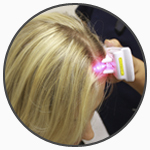 When someone has an underlying illness or health concern, or whilst a person is first starting treatment and the body is still in flux, it is possible to experience hair shedding from all over the scalp. Shedding like this tends to take around three months to appear so the hair fall you notice now is likely to have been triggered previously. 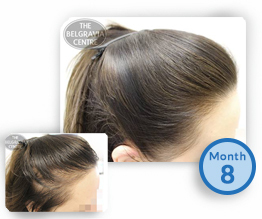 The reason for this is a hair loss condition called Telogen Effluvium, which is temporary and lasts up to six months. Should the condition become chronic – which can be the case if the illness takes a while to diagnose and get under control, or if the medication provided causes hair loss as a side effect – then this can last at least six months, but should still be temporary. 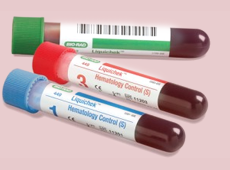 Once any underlying health issue – such as an iron deficiency anaemia – is resolved and being properly managed the body should settle down again. Whilst medications are being varied, it is possible that shedding may continue until a normal routine is established. Once this happens normal hair production should resume and the thinning hair should regrow naturally, though treatment is also available to help accelerate this process. If you are concerned about your shedding after sorting out your iron treatment plan with your doctor, it may be worth having a free consultation with a hair loss specialist so that they can check your scalp over and advise you further in this specific area. 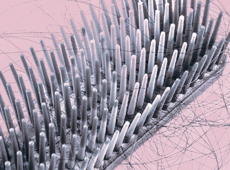 If you have a genetic propensity to hereditary alopecia – often better known as female pattern hair loss – which also displays as thinning hair, however this shedding is confined to the top of the scalp and hairline only – then this can be triggered or made worse by the above temporary conditions. 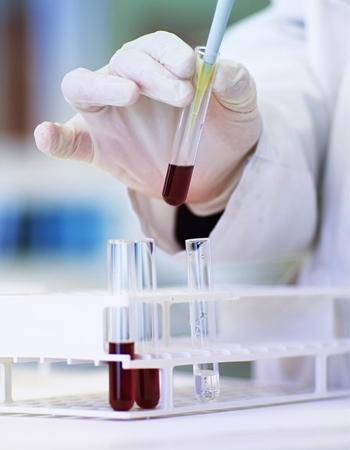 This is why it may be worth having a professional, personal consultation as once the precise cause of the lack of hair density has been identified, an effective hair loss treatment solution can be tailored accordingly.